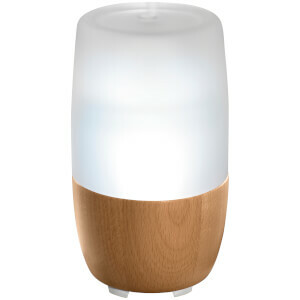 The Ellia ‘Reflect’ Ultrasonic Diffuser from HoMedics has been thoughtfully designed to fill your abode with an uplifting aroma alongside relaxing sounds and an attractive, naturally-inspired aesthetic. 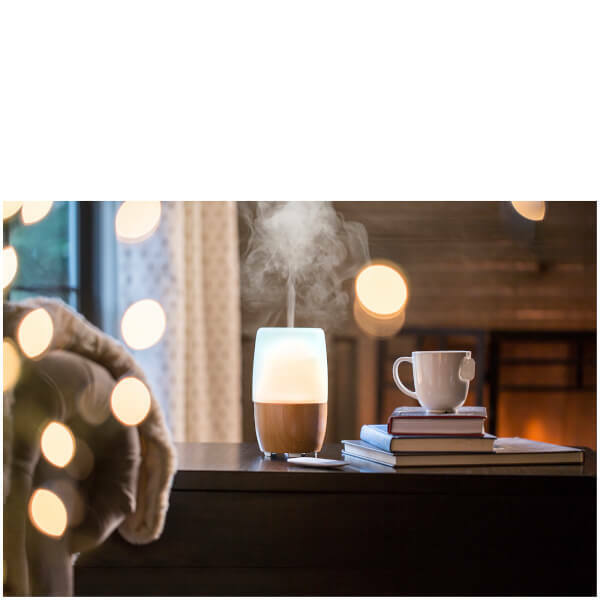 Designed to be used in conjunction with Ellia Essential Oils, the device utilises high-frequency technology to convert a blend of water and oil into a fine mist that disperses evenly into the air for a rich, long lasting aroma. The ethically sourced glass and wood design adds a luxurious touch to any home décor, with a colour-changing light creating a peaceful ambiance and the option to choose from a library of sounds to suit your mood – from relaxing to energetic. A convenient remote allows for ease of use and the unit will automatically shut off once the reservoir is empty for peace of mind, with a continuous runtime of 7 hours or 14 hours with intermittent use. 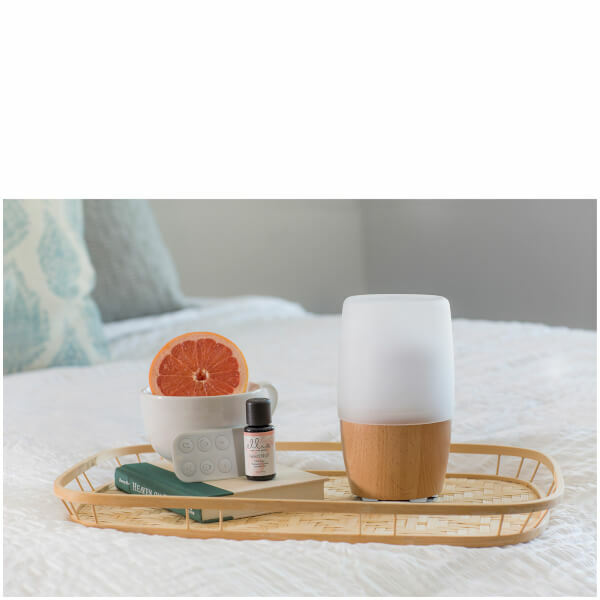 Choose your favourite Ellia Essential Oil and re-create a spa-like experience within your own home with the advanced electronic diffuser that effortlessly promotes a sense of wellbeing, calm and happiness dependent on the oil. 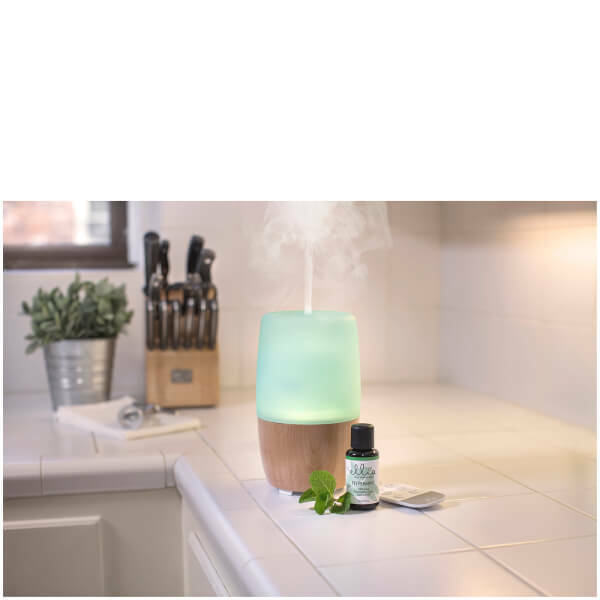 Ultrasonic Technology: This diffuser uses ultrasonic, high-frequency technology to convert the water and essential oil into a fine mist that is dispersed into the air evenly, delivering natural aroma to enhance your mood. Color-Changing Light: The gentle glow creates a peaceful environment. Choose your desired color to best match your mood. Relaxing and Uplifting Sounds: Quiet your mind or boost your energy. Runtime: Up to 7 hours of continuous runtime or 14 hours of intermittent runtime. Soothing Humidity: Alleviates dry air. Auto Shut-Off Protection: When the reservoir is empty, the unit will shut off automatically. Adapter Voltage: 100 – 240V 50/60Hz. 1. Remove the outer cover from the base. Next, remove the inner cover. 2. Pour water into the reservoir until it reaches the max fill line, then add 5-7 drops of essential oil to the water. Depending on your personal preference, you may add more or fewer drops of essential oil. 3. Put the inner and outer covers back on. 4. Plug the adapter into the diffuser, then plug the adapter into an outlet. Use caution when plugging the unit in to avoid spilling water and essential oil. 5. Choose your aroma mist, light, and sound options.